Fantastic news from both BC and Quebec this last week: All restrictions to treatment under the respective provincial PharmaCare plans have been removed!! 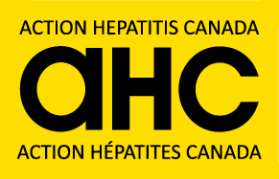 See Chronic hepatitis C medication now available for all British Columbians, and Quebec Expands Patient Access to Chronic Hepatitis C Therapies. Grants Awarded to 13 Canadian Initiatives to Help Advance the Goal of Eliminating Chronic Hepatitis C Infection in High-Risk Populations: In support of Canada’s commitment to the World Health Organization’s (WHO) goal of eliminating chronic hepatitis C infection by 2030, Gilead Sciences Canada, Inc. (Gilead Canada) today announced a series of grants to support screening and linkage to care projects across Canada. These initiatives will focus on hepatitis C screening within high-risk patient populations and linking diagnosed patients to care. Tattoo and needle programs in prisons would help curb hepatitis: internal memo: Setting up tattoo parlours and needle-exchange programs in penitentiaries would help reduce the spread of hepatitis C, the federal prison service has told the Trudeau government. North Island HepC HepB Roadshow: Days 1 and 2: Our indomitable team of veteran volunteers are at it again, travelling this time to Native communities on the north end of Vancouver Island! We only have photos from the first few days of the tour, but will be updating our FB site as the photos come in. Study shows shorter hepatitis C regimen effective in black patients: A study by the Harvard Pilgrim Health Care Institute found that contrary to current hepatitis C treatment guidelines, an eight-week treatment regimen may be just as effective as 12 weeks in black patients. Is Hepatitis C Treatment Safe? by Lucinda Porter, RN: This is a must read article from Lucinda Porter, RN and the HCV Advocate. Sad but true, there are those who still think that hepc treatment is bad and that the world is flat! What to do? Listen to Lucinda! Newly Discovered HCV Subtype is Resistant to Antiviral Treatment: And just when we thought we were out of the woods, researchers have found a new hepatitis C virus (HCV) genotype 1b subtype which harbors multiple resistance-associated mutations that combine to block therapeutic effect of NS5A inhibitor direct-acting antivirals (DAAs).